Welcome to the listening room, please click on the links below to hear clips from Ramona’s album ‘Celtic Harp’. You can buy the CD too! 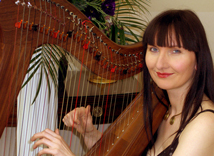 Ramona launched her album ‘Celtic Harp’ whilst performing for the Celtic Journey Dance Sensation at the Marlowe Theatre in Canterbury 2007. 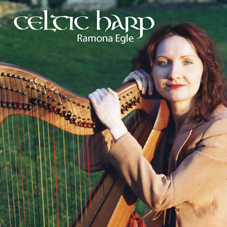 Buy Ramona's Celtic Harp CD for only £9.99 + £1 P&P using secure Paypal. Please allow up to 7 days for delivery.